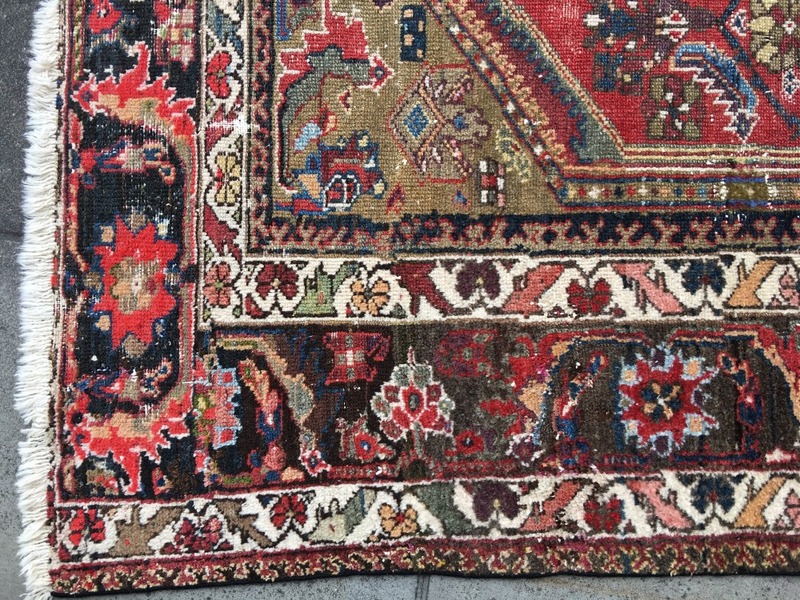 A beautiful antique - 1930/40´s persian Malayer rug 6 x 5 ft. 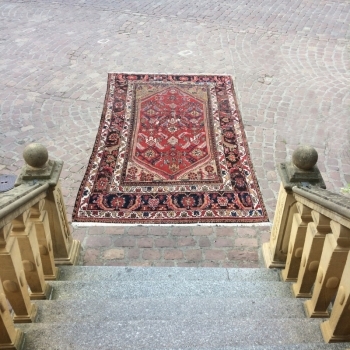 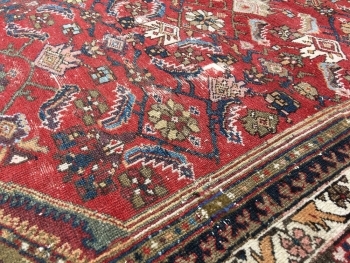 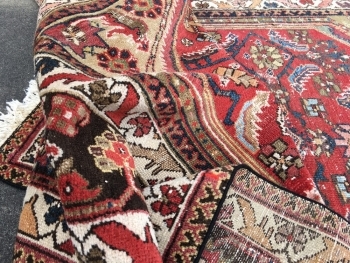 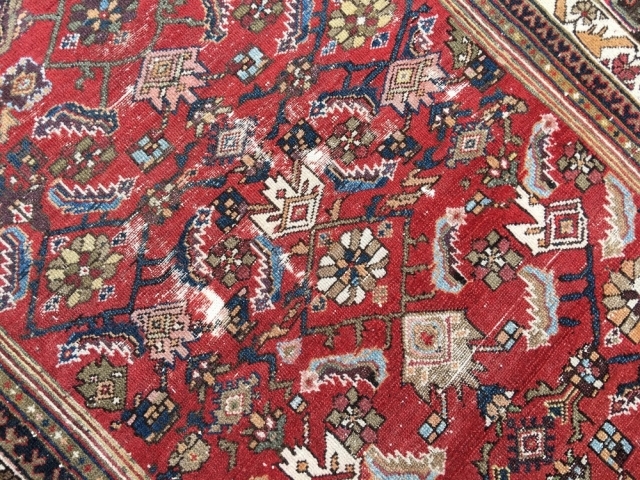 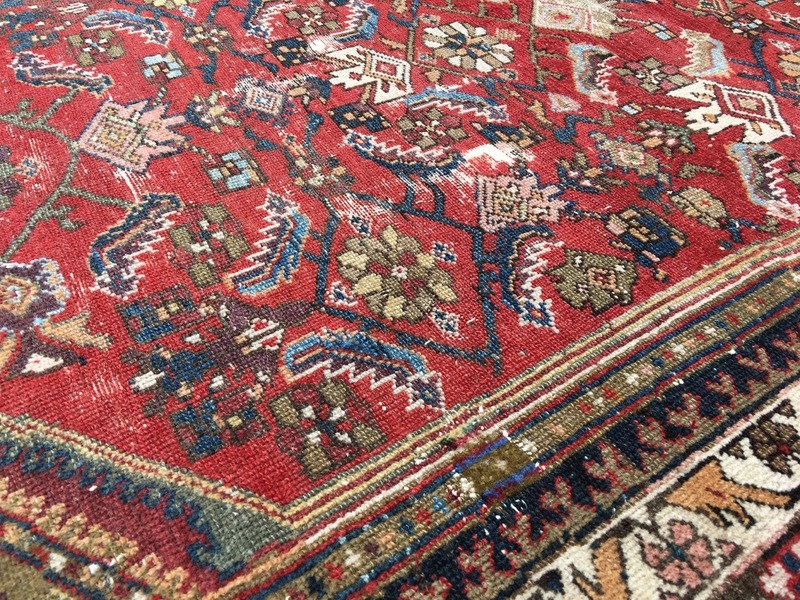 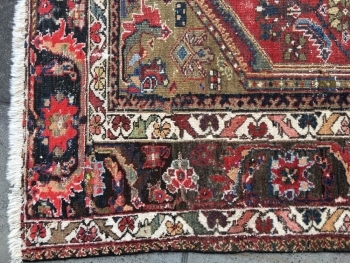 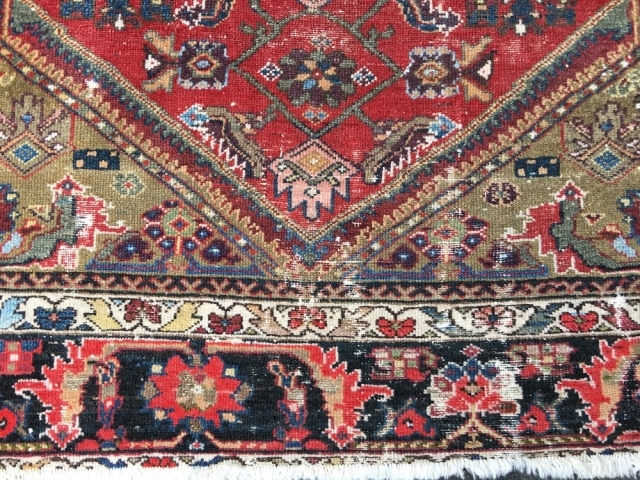 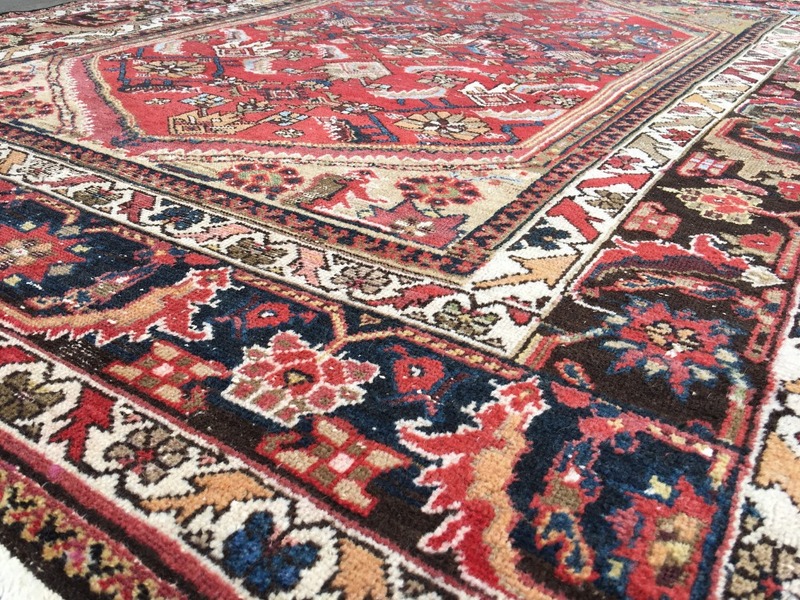 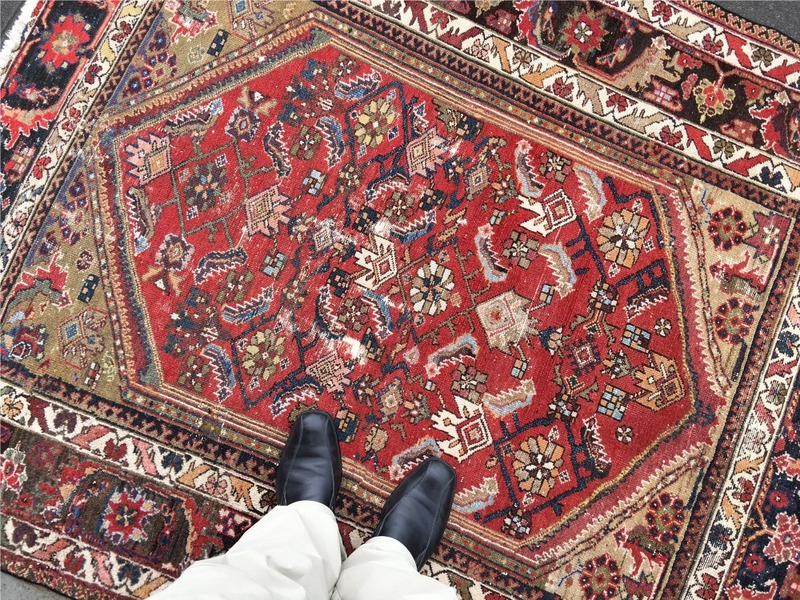 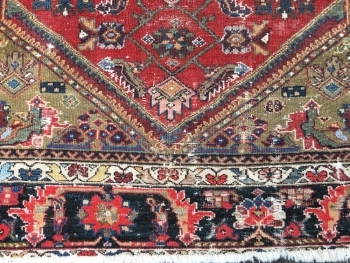 It was hand knotted in the western persian village Malayer, the pile is 100% fine persian wool. 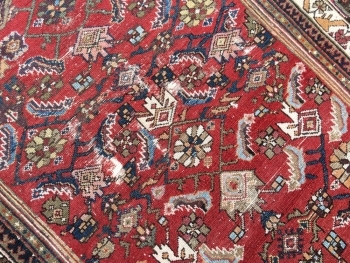 It is in used vintage condition with excellent low pile and some warp and weft visible. The rug is fresh washed, the selvedge is newly secured - ready to use.